Dearest Shadows: It's coming closer! I need to take a deep breath and calm myself down... 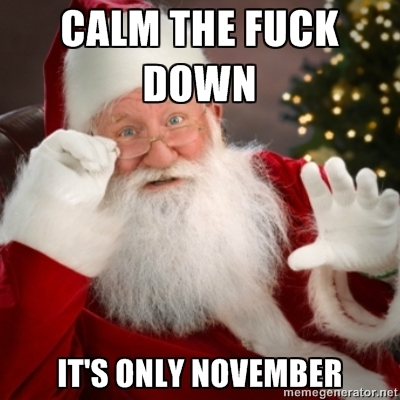 But I can't wait for the Christmas to come!! I went nuts when the first snow came down and everywhere I looked was white. Like always I had to go outside and try to catch the snowflakes with my tongue. I get so exited about first snow. Too bad it melted down and now it's just dirt and more dirt. 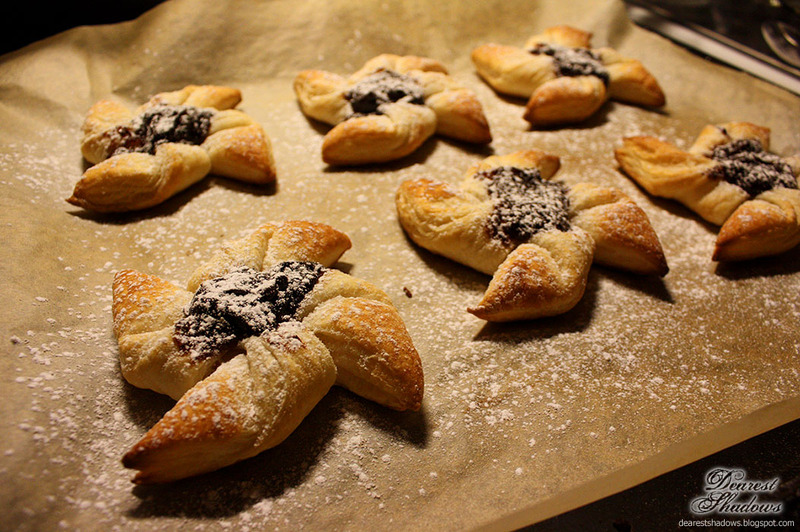 I took a false start to Christmas and we made Star-shaped Christmas pastries. I usually save it to Christmas Eve but now I absolutely crawed them. I have also made carrot casserole just to practice it for Christmas. I'm also going to practice making seitan (vegan wheat meat) again in the near future for it has been such a long time since I made it last time and I want to nail it on Christmas. Practicing, practicing, practising. I truly wait Christmas to come. I've been planning Christmas presents and already bought some of them. We're going to start a massive Christmas cleaning at the beginning of December and decorating the house ahead of time. We have also planned on going to Helsinki with my mom near Christmas to visit my brother and spend time with him. We are also gathering up a big Christmas present for him... I can't wait!